Wouldn’t it be amazing to win the UK National Lottery! Unfortunately, the chances of winning are very small given that you have to match six numbers from a possible 49 choices. The odds of winning are calculated by dividing the number of available balls by the number of possible combinations. For example, when the first number is drawn there are 49 available balls and 6 combinations; when the second number is drawn there are 48 balls left and five available combinations; and so on. By multiplying these together you get odds of winning the main jackpot of approximately 1 in 14 million (49/6 x 48/5 x 47/4 x 46/3 x 45/2 x 44/1 resulting in odds of 1 in 13,983,816). Chance of being attacked by a shark is 1 in 11.5 million. One member of the Figure it Out team currently purchases one ticket per draw which works out to be about £200 a year (tickets cost £2). So is it really worth playing the lottery since the odds are very much against you or should he keep his money and spend it on something else such as a weekend getaway? A quick Google search shows that there are many websites where people try to give you advice on how to try to increase your winnings. One example of such advice is by Cliff Arcy on Yahoo Finances. However, the only way of guaranteeing the major prize is to buy tickets that cover all the possible combinations. For that to work, the prize fund would need to be much greater than 14 million pounds and you would need there to be no other winners of the top prize so that you wouldn’t have to share the winnings. If you had that sort of money, why even bother playing? Imagine the time it would take just to fill in the tickets and ensure you have not missed a combination. Whilst the prize fund is much smaller, a syndicate was successful in beating the odds by purchasing eighty percent of the possible 1.94 million ticket combinations to win 2.2 million pounds in the Irish Lottery as reported by The Independent. The UK version is much harder to try this on. Wouldn’t it be interesting to find out what prizes would have been won if someone had bought 10,000 unique tickets for all National Lottery draws in February 2014 (for each of the eight draws the same 10,000 tickets have been used). Even though the odds are 10,000 in 13,983,816, the chances of winning are only slightly greater. Without scrolling down just yet, try to guess how much would have been won. The first task was to generate 10,000 unique tickets using a simulation technique in Excel using probability sampling based on the idea of random numbers. What would have happened if someone had actually spent £160,000 on lottery tickets last month (The analysis accounts for the facts that the prize fund varies per draw; and that it would be reduced for every winning ticket with more than three winnings picks as it is shared between the winners. Finally, the imaginary prize fund was not increased to account for the extra tickets purchased). With losses of £114,189, lucky that this is just an experiment and not involving real money! It should be noted that part of the cost of a ticket enters you into a separate prize of £20,000 from a raffle draw for 50 lucky winners. For one further experiment, what would happen if someone bought 100,000 tickets to further increase the chances of winning. 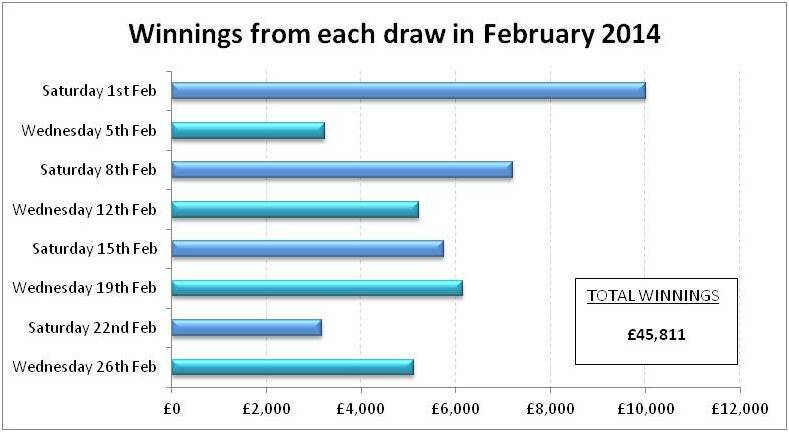 Trying this on Saturday 1st March would have resulted in losses of £150,313. It is very hard to beat the house! If you look at the expected return on one ticket, statistics can actually show that these results are expected. To work it out you need to calculate the odds for each of the prizes. (This is more complicated than working out the odds for the main jackpot, so if you’re interested, check National Lottery Odds – What Are The Chances Of Winning The Lotto Jackpot?). If you multiply each of the odds by the prize per winner and add them all up, you get the expected winnings for one National Lottery ticket. The expected return of 61 pence is less than the two pounds cost of a ticket. 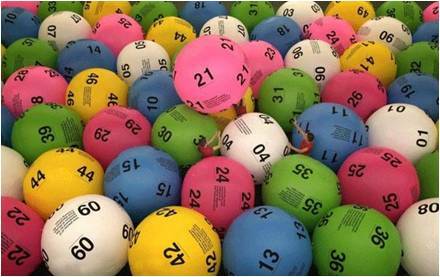 As a lottery ticket is both for the main draw and a separate raffle, if we assume that the additional raffle draw part of the ticket costs one pound and therefore a ticket for the lottery draw costs one pound, this is still more than 61p. Therefore, one would expect to make a loss when playing the lottery. Is it really worth playing? The member of Figure it Out team will just in case he gets that winning ticket (all 6 numbers) or the raffle prize! In a future Figure It Out we could change the experiment to account for some of the advice offered by Cliff Arcy to see if that has any impact on the winnings. For example, he suggests picking two or more numbers between 32 and 49.